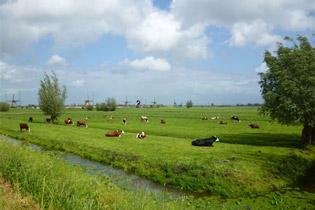 Today, here is where you’ll find the picture book Holland of old: low-lying peat meadows with grazing cattle; vast polders under beautiful skies; lakes, streams and rivers; and pretty villages with monumental farmhouses. 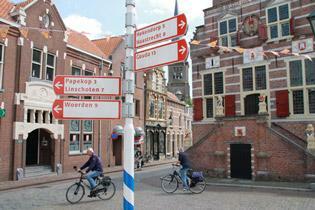 You will also stop at a number of attractive towns, including "cheese town” Gouda. Naturally, your bike holiday would not be complete without a visit to amazing Amsterdam!